No one can say that weight gain can be put down to just diet or exercise plan. In fact, often weight gain can be partly blamed on your hormones. Did you know that stubborn fat can be harder to lose if your hormones aren’t in balance? So it’s a great idea to get all your hormones in check first. Which hormones? Here are the hormones you’ll want to get in check to ensure you can achieve the healthiest weight of your life. The thyroid gland produces three hormones: T3, T4, and calcitonin. Togther, they regulate metabolism, sleep, heart rate, growth and brain development, among other functions. Sometimes the thyroid doesn’t produce the right quantities of these hormones, though, and it can lead to hypothyroidism. Hypothyroid is associated with constipation, fatigue, depression, slow heart rate, and other symptoms. However, it is also related to weight gain, as your metabolism slows down due to the hormone deficit. When your body is 100% healthy, leptin signals that you are full and should stop eating. But when we overeat foods that are high in sugar or processed foods, the oversupply of fructose is converted into fat, and it gets deposited in the liver, belly and other areas of the body. That is a problem because fat cells can also secret leptin, desensitizing the body to it and causing the brain to ignore the signal to stop eating. This vicious circle can lead to high levels of weight gain. Insulin is secreted by the pancreas, which helps carry glucose into your body’s cells so it can be used as energy or stored as energy reserves for later within your fat cells. Over-consuming processed foods and fruit, alcohol, artificial sweeteners and snacking on unhealthy foods can lead to insulin resistance, where your cells block insulin, leaving glucose to circulate in your bloodstream until further notice. That finally leads to weight gain and Type 2 diabetes. Estrogen levels that are too high or too low can cause weight gain. High levels of estrogen in the body can irritate the cells that produce insulin in your body, making you insulin resistant and blood sugar levels rise, leading to weight gain. 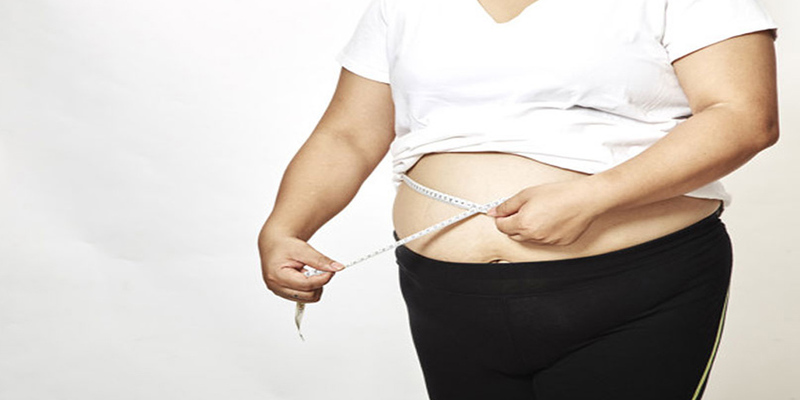 Low levels of estrogen can also cause a very stubborn type of weight gain. 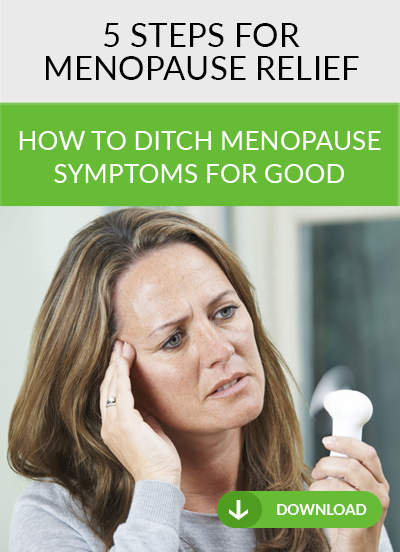 That often happens during the menopausal period women go through later in life. The ovarian cells no longer produce estrogen, so the body starts looking for estrogen elsewhere. One source is fat cells. So what does the body do to put things back in balance? It starts converting all extra energy sources into fat, leading to weight gain, particularly in the lower body. Cortisol is a steroid hormone that is produced by the adrenal glands and is mainly secreted when we are under stress, depressed, anxious, angry or physically injured. Cortisol regulates energy levels and energy mobilization. But high levels can lead to hyperinsulinemia, increased visceral fat deposition and fat cell maturation, which can all lead to added weight on your body. Progesterone and estrogen must be in balance if the body is to function correctly. In fact, a progesterone drop because of menopause, stress, the consumption of foods containing antibiotics and hormones or the use of the birth control pill can all eventually lead to a decline in progesterone, along with the associated weight gain and depression. This is the hunger hormone! Ghrelin helps stimulate appetite and increase fat deposition. It is mainly secreted by the stomach, as well as the small intestine, pancreas, and brain. Elevated levels of ghrelin in the blood can lead to weight gain. Obese people are particularly sensitive to ghrelin, encouraging them to eat more. Ghrelin levels can also rise when you’re on a strict diet or fasting. Yes, women produce testosterone, though in smaller amounts than men. It helps burn fat, strengthens muscles and bones, and increases libido. In women, the ovaries produce this hormone, but age and stress can take their toll, lowering testosterone levels. That can lead to an increase in stress and inflammation, resulting in more fat accumulation. Melatonin is produced in the pineal gland deep within your brain. It helps maintain your circadian rhythm, so you sleep and wake up on cue. When your melatonin levels naturally rise at night, growth hormone is released, which helps the body heal, build lean muscle and improve bone density. But if your circadian rhythm is interrupted, you don’t get enough sleep, or your room simply isn’t dark enough at night, your body initiates a stress response, which can lead to inflammation-induced weight gain. Inflammation is an important part of the healing process. But chronic inflammation can lead to some unfortunate outcomes, including weight gain. Glucocorticoids actually help reduce inflammation. But they also regulate the use of sugar, fats, and proteins in your body. It has been found that glucocorticoids, however, don’t favor sugar or glucose as a fuel for your body, and they reduce your body utilization of it as an energy source. Where does this leave you? With higher blood sugar levels due to insulin resistance, and usually, obesity or even diabetes if it’s left unchecked.